For all lovers of sports betting, today we want to advise you www.stakers.com, a portal of the latest generation really well done and rich in content that offers the opportunity to bet on well 25 different sports disciplines, follow the live results and make your bet on games in progress. On Stakers.com could not miss the games such as Black Jack, Casino, Lotto and a special section dedicated to Financial Bets. Interesting is the area dedicated to "Betting news" where we can stay updated on the most important championships and tournaments in the world, follow the favorite team and players. Event statistics on all sports bets make "Stakers Sports" a complete betting point with up-to-date support for reliable data. 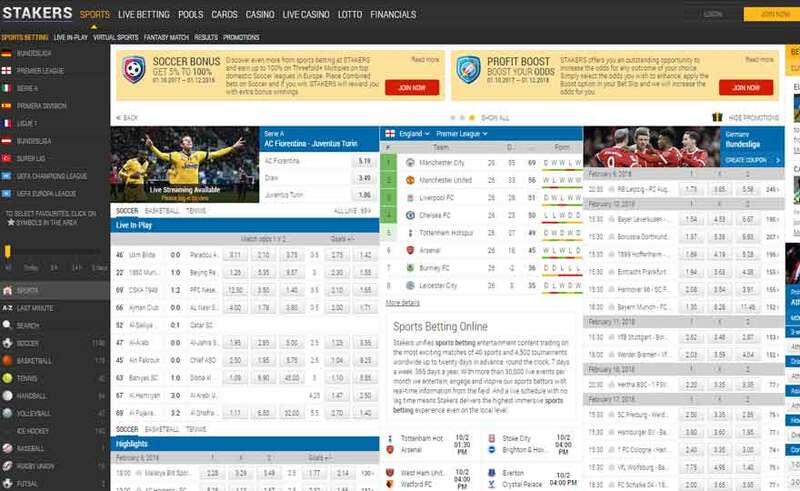 A welcome bonus welcomes you for registration in the fabulous world of betting.